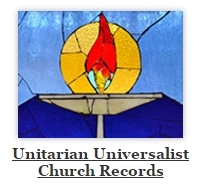 The Unitarian Universalist Church Records collection provides online access to a selection of digitized records from the Unitarian Universalist Church of Muncie, Indiana ranging from 1850 to 1993. The collection includes annual reports, governance documents, meeting minutes, education and ministry records, membership records, church service records, architectural drawings, construction and property records, scrapbooks, photographs, and audio recordings. Clicking the image will allow you to browse the collection. The Unitarian Universalist Church of Muncie was organized as the First Universalist Church of Muncie in 1859 and originally met in a building located at the corner of Madison and Jackson streets. Many influential Muncie residents were associated with the church in its formative years including Adam Wolf, Thomas Kirby, Alfred Kilgore, and the majority of the Ball family. In 1913, the church changed its name to St. John's Universalist Church. In 1962, the national Unitarian and Universalist societies merged, leading the Muncie congregation to eventually change its name to the Unitarian Universalist Church of Muncie in the early 1970s. In 1967, the congregation moved to a new building on West Bradford Drive. Throughout its history, the Unitarian Universalist Church of Muncie has been known for a message of universal salvation and an emphasis on reason, tolerance, and individualism as the grounds for religious understanding.